“In America 24,000,000 children (34%) live absent their biological father. Nearly 20,000,000 children (27%) live in single parent homes. The social problems as well as the communication gap created by ‘the fatherless factor’ have silenced many voices that were meant to be the prophetic voices speaking into the lives and purpose of the next generation. Too many ears of the younger generation have been deafened and their futures altered because they missed out on a good ‘father foundation’. In fact, we are almost to the point of no return, unless this generation of Americans-this generation of men, women, and children-does something about it. Who is willing to sacrifice? Who is willing to see with eyes into the future and give hope to the next generation? There are a few of us moving forward with the intent to reverse the effects of ‘the fatherless factor’ via what we are calling the Fast Horses Project. Our vision is to see the heart of our nation turned from its selfish ways by mens hearts turned to the children and the children to their fathers’. Our hope is that our children and grandchildren will benefit in the future by the right choices that fathers (men) are beginning to make now. Our immediate intent is to proclaim our message and to call and empower men, women, and children in America to experience a change of heart. Our primary mission focus will be to gain the attention of, identify with, and relate to the un-churched. This will include but not be limited to people groups including the over-the-road truck driver and the America cowboy, as well as a broad range of equine enthusiasts from the race track to the arena. 1 Corinthians 9:22, “To the weak I became weak, that I might gain the weak: I am become all things to all men, that I may by all means save some”. Our introductory mission message is a forerunner message to the Gospel of Jesus Christ. That message is “turning the hearts of the fathers to the children and the children to their fathers”. With this message we hope that God will 'prick the heart' much as John the Baptist’s message did to prepare for the way of Jesus Christ into the life of the resistant individual. Luke 1:17. Our secondary mission focus will be to evangelize, preach, teach, and practice the Word of God in local churches, cowboy churches, to equine and horse racing enthusiasts, and anyone else we might come in contact with, daily. 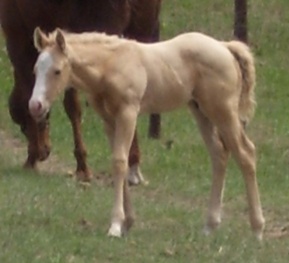 The main thrust of our beginnings will be to spearhead the "Fast Horses Project". 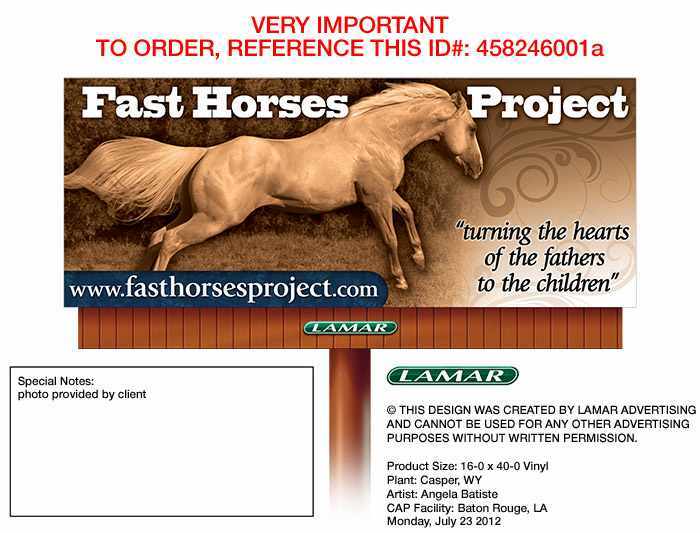 The Fast Horses Project is a Christian outreach operating under the umbrella of Open Sky Unlimited, Inc., a 501(c)(3) nonprofit religious corporation. The entire organization is supported by donations. 24,000,000 children living absent their biological fathers, exponentially increasing, will ultimately crush the cultural and family foundations of America unless the heart of our nation is turned to our children and grandchildren. Join with us to make a difference! Our children and grandchildren are looking to us to do whatever we possibly can!